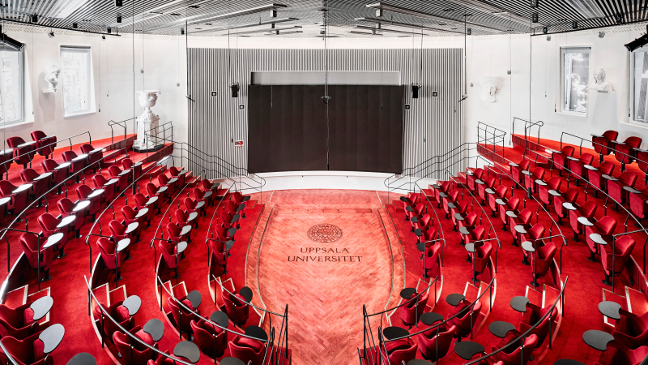 Humanistiska Teatern is the newest addition to the campus at Uppsala University; an arena designed to stimulate open and democratic dialogue, for faculty and public alike. This is not a space for passive audiences, but a place where everyone can participate within the intimate grandeur of the amphitheatre setting. Humanistiska Teatern is a new public forum that encourages cross-disciplinary dialogue among faculties, as well as between the university and community; on a local, national and international scale. Unlike the traditional theatre hall made for passive audiences, this horseshoe-shaped auditorium invites dialogue between speakers and attendees. On the wall at the open end of the horseshoe, a 32 sqm interactive display opens the debate to participants around the world participating through digital channels. The 17th century Gustavianum Anatomiska Teatern has been a constant inspiration for this project. The symphony of acoustics, colour and lighting create an intimate space for debate, but also a building that is monumental and a little mysterious. 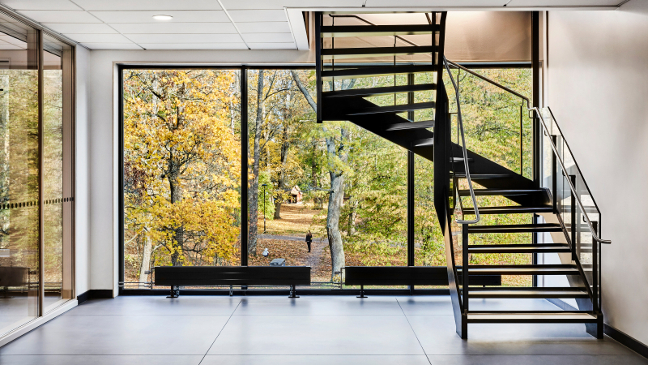 The building serves as a passage to and from other buildings on the Engelska Park campus and provides new offices, meeting, and teaching rooms to supplement campus amenity. 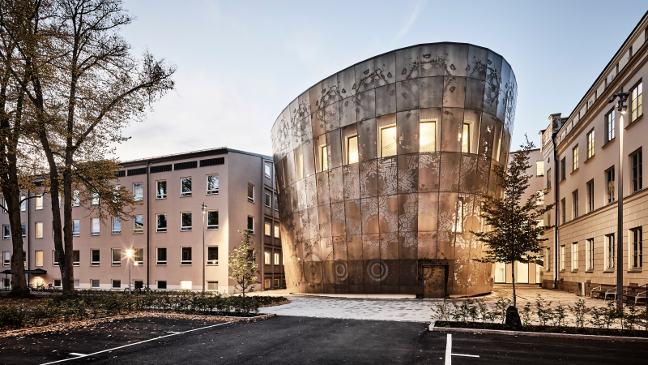 A sophisticated curved façade faces the botanical gardens and Blåsenhus Campus to the south. 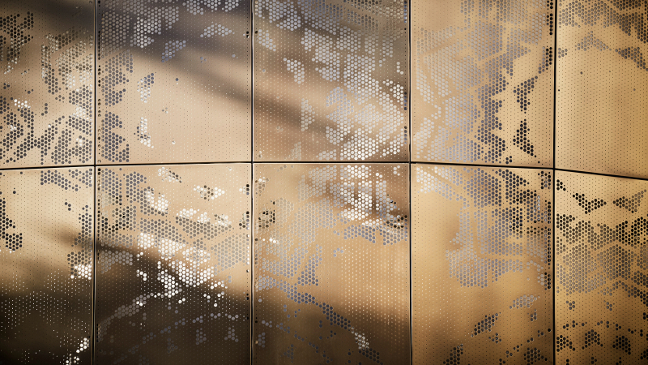 This is clad with bronze-colored aluminum sheets, perforated by hexagonal-punched patterns, inspired by the nature of Linnaeus. This piece of public art was designed by the Norwegian-Danish international artist, Ann Lislegaard in conjunction with Statens Konstråd – State Arts Council. At night, strategic lighting adds drama to the façade, illuminating the building and artwork.